_Trace Monroe doesn’t believe in luck. He never has. 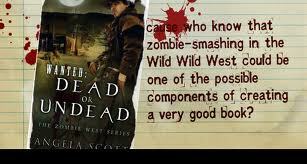 But when a fiery-headed cowgirl saunters through the saloon doors, wielding shotguns and a know-how for killing the living dead, he believes he just may be the luckiest man alive.